Seeds are nature’s consummate survivors. The next time you admire a field of waving green grassland or a stunning grove of acacia, stop to consider how it got that way—often against incredible odds. Seeds can survive freezing temperatures and drought. They can pass through our digestive systems without damage and weather a trip across the ocean, hitching a ride on marine debris. They can even endure complete desiccation, a feat taken to extraordinary lengths by the date palm, a seed from which was recovered from the palace of Herod the Great was germinated after some two thousand years. The Book of Seeds takes readers through six hundred of the world’s seed species, revealing their extraordinary beauty and rich diversity. Each page pairs a beautifully composed photo of a seed—life-size, and, in some cases, enlarged to display fine detail—with a short description, a map showing distribution, and information on conservation status. The whole spectrum of seeds is covered here. There are prolific species like corn and less widely distributed species, like the brilliant blue seeds of the traveler’s palm or the bird of paradise flower, aptly named for its distinctive orange coiffure. There are tiny seeds and seeds weighing up to forty pounds. And while seeds in all their shapes, sizes, and colors grant us sustenance, there are even some we would be wise to treat with caution, such as the rosary pea, whose seeds are considered more toxic than ricin. 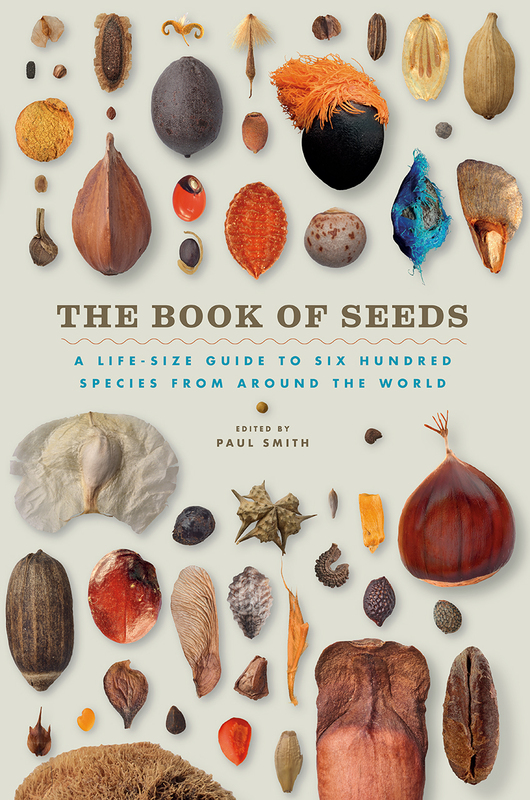 The essential guide to these complex plant creations, The Book of Seeds offers readers a rare, up-close look that will inspire scientists and nature lovers alike. How did seed plants evolve? "A well-written primer on seed anatomy, evolution, and use, including conservation. . . . It will be useful to both the professional botanist and amateur, as well as anyone curious about how nature looks and works."